some of us a suckers for badges and logos (me!, me!, me! ), though definedly only if the badges and logos are worth displaying to a caring public, and that is something either down to subjective appreciation or peer group adoration. colnago is a case in point; even amongst those who think their frames but lumps of over-priced carbon, the clover-leaf is of well tread significance. colnago steel frames are of unquestionable pedigree; it's just the modernity that invites heckling and suspicion. taiwan just doesn't have the same heritage. badges and logos are part of the territory, for no other reason than sponsorship is an endemic part of the sport. no matter how hard corporate avoidance is practiced, somewhere along the line, an unexpected logo will creep into a tiny un-noticed corner. i like to think of myself as discretionary when it comes to what appears on items of cycle clothing, though likely the reality is less elective than the promise. at times, of course, logos are unavoidable, and i can feel myself cringing in the saddle on realising that the frame, gears and tyres on which i'm riding, match none of those described on the side of my casquette. it is this last item of dress that is most likely to become the fly in the ointment, for i have truckloads of the little blighters (it's an obsession of mine) garnered from multiple sources, many representing trade teams living or dead. as a confirmed vegetarian, is it truly seemly to be wearing a molteni cap? 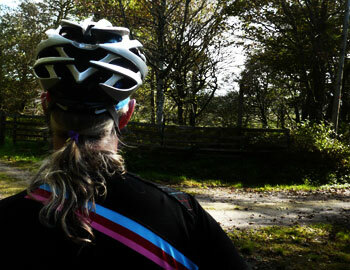 i'm not eddy merckx either. in the case i now bring to your attention, serendipity has all but mingled and conversed, finally singing from the same hymn sheet. almost. my principal excuse is one of colour. rapha, in the last couple of years, have joined forces with focus bicycles, to build themselves a north american cyclocross team worthy of admiration. those candy team colours have crossed the atlantic, now decorating the publicity material for the forthcoming supercross series. they also comprise the panels of the rapha/focus casquette, along with sponsors, fizik saddles, easton components, sram gearing and giro helmets. i often hope to excuse myself from the logo attachment on professional grounds, for what's a guy to do when an item under consideration matches not with the vehicle providing the wherewithal? the law of averages, however, is bound to engineer a match once in a while; three out of six isn't half bad. while out to play midst the mud, grass, mud and trees, rapha's cross clothing is easily as good a choice as any, if not better; the hakkalugi is powered by sram (as is the cielo, if truth be told) and in recent days, the fount of all knowledge has been encased in a shiny white giro aeon helmet. 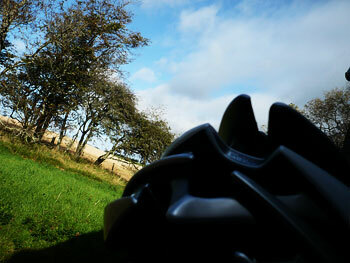 helmets are forever at the centre of contention, at least as far as day-to-day riding is concerned. meanwhile the manipulators of statistical information do battle with spreadsheets, subterfuge and propaganda, proving little except there are probably too many statisticians in the world. turn attention to the faster of the breed, real or imagined, and there can be little doubt that an aerodynamic dod of polystyrene on your head takes on a more preventative air. personally i prefer to equate helmet use with that of insurance; the latter you pay for and fervently hope there will never be a situation where it is needed. same goes for a helmet. arguments other than the dreaded helmet hair oft times centre around the weight of such a conspicuous appendage, something that was demonstrated quite tangibly with respect to the aeon. there is good reason for the chin-strap attached to the roll cage encased in that polystyrene, for at a laughable 222 grams, anything more substantial than a cow's fart would blow the thing into the disatnce. mitigating against this happening, whether wind-breaking bovines surround your every move or not, is roc-loc 5 which, via a small thumbwheel at the back of the helmet, tightens or loosens the helmet, easily accommodating even rapha's winter cross hat. put on some status quo, indulge in a bout of head-banging, and that aeon remains steadfast through all three chords. and on two separate occasions, i thought i had left the building sans helmet. the basic premise of helmet wear is inherent protection against banging one's head on tarmac or kerbside. if a volvo drives into you, it may be that the aeon is the only thing that survives; but fall off trying to avoid the selfsame vehicle or, perchance, a farting cow, and there is little doubt that protection of the central processing unit is a desirable situation. while many a review on the post requires that i joyously put products through the fiercest pasting i can provide without getting arrested, i was less than keen to fall off on my head to prove the efficacy of giro's design department. what giro (and others) do not mention, point out or even hint at, is a threatening destruction visited from above. if i might refer my readership to a paragraph scribbled above, where cyclocross was briefly mentioned, my opening debut with my head in an aeon was scrabbling around bridgend woods. trees are somewhat concomitant in woods, many of which have branches that behave as gravity would have them behave. i'm happy to report that stray leaves and branches flailing about with (gay) abandon were shrugged off with disdain. think of it as a rider sandwich. discussions have been promulgated even on the post with regard to the shape of riders' heads and their affinity for the inside of helmets. it is said that not all helmets are created equal; some compensate for this non-immersive phrenology by means of the trademarked retention system. the very best use the latter as the last few millimetres, as a final adjustment rather than a masking agent. 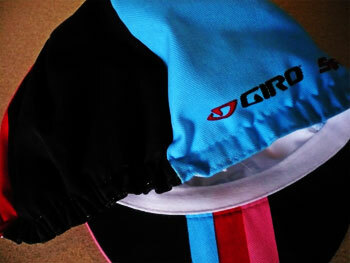 i have, i'm ashamed to admit, never worn a giro helmet in my long and insignificant career; this is the first. and as an introduction to the breed, i have to say it provided instant gratification, offering one of the closest and comfortable fits on the planet, or, come to that, on my head. the aeon combines an aggressive stylishness with venting that would cool hot cappuccino in seconds. though my review sample treaded the right side of conservativeness in a sort of silvery white, colours more in keeping with the rapha/focus team colours are available, as well as a size range from small to large (medium reviewed) catering for head circumferences 51cm to 63cm. all this for the princely sum of £199.99 ($250). like i said, think of it as insurance against not being able to ride your bicycle ever again. 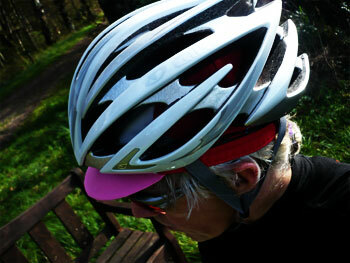 giro helmets are distributed in the uk by madison, to whom major thanks for supplying the review model.